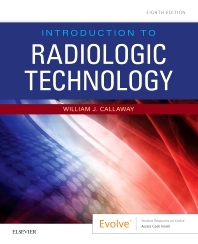 Get an introduction to the radiologic technology profession with this solid text! Covering everything a beginning radiography student needs to know, Introduction to Radiologic Technology, 8th Edition lays the groundwork for a successful career. It includes coverage of the coursework required, basic learning skills, a historical perspective on radiology, and insight into key topics such as the language of medicine, digital imaging, patient care, and radiation safety. This book also includes the latest changes in the registry exam and a discussion of the radiographer’s role in the practice setting and opportunities for advancement. Guidelines for a solid radiography career foundation discuss customer service, ethics and professionalism, and professional organizations. Thorough introduction to radiologic technology includes a concise overview of what you can expect in your coursework. Cultural diversity coverage orients you to the challenge of dealing with patients from different cultures in the medical environment.